I don’t know about Black Friday, it was certainly Black Saturday last weekend when Spurs failed to turn up against the boys from Woolwich. I do often wonder how certain people in all walks of life get to the top of their profession and certainly one of the individuals that applies to is Moussa Sissoko. I saw nothing of him at Newcastle ( I thought Mike Ashley was a genius for getting 60 million for Sissoko and Wijnaldum two of the so called stars that saw Newcastle relegated) that made me think he was an average player let alone a top player and his time at Spurs has cemented that opinion. He is right up there in my 39 years now a Spurs fan as one of the worst I have seen in the white shirt. He cannot even control the ball let alone run dribble or pass it. Somebody somewhere saw different and for an apparent wage of £70,000 a week felt he was the man. Poch the genius obviously sees something too. Arsenal just forced Spurs to play down the right from the back every time taking Eriksen out of the game on the left and letting the trampoline chested and lead footed Moussa just keep turning the ball over to them. Arsenal were by far the better side and I thought Mike Dean had a great game for them and looks to be a good signing. On to Dortmund and Spurs look like Arsenal now of the last few years. Play well to win out there and secure top spot in their group was a good result but the inconsistency in performance is there for all to see. Cue the 0-0 on the weekend against West Brom. I have to be pleased though as when the draw came out I didn’t expect to see Spurs playing Champions League football after Christmas. Dortmund after a decent start to the season look well below their best and if it continues I can see a managerial change there. Not much other news I am very much enjoying my break and in particular the not having to check email all day every day is very pleasant I have even seen the outside a few times, daylight is quite nice. Black – Bombard the feckers into submission until they buy something- Friday. So, my little piece of advice is do not buy anything , nothing, nada, zip. Do not fall for it. One service is offering deals every 2 hours, I mean WTF! Agora, Betting Rant, Race Advisor, Malcolm whatever his face is, all of them who bombard every day including Christmas Day will go into full mail out mode I am sure, it is like they are water boarding you by email, they just go on and on until you cave in, in the end to make them stop. Then they start again with the next one. The sales copy makes me want to weep. Fake Mug Bets I will say it again Fake Mug Bets have you ever heard anything like it. The list will be endless marketing BS junk arriving like machine gun fire with one intent to get them richer and sod you that is all it is about. So my advice turn the computers off don’t even look. DO NOT BUY. 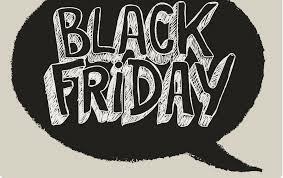 Anyone turning up to an FTS Trading Day having bought something from a gambling marketing email on Black Friday will be in for it. I will know by the whites of your eyes if you try and lie to me! It is going to be horrendous, garbage after garbage already is queued up in the ether with the sole purpose of making them rich and you skint. Those who do look just count how many you get and report back in the comments section. It will all be time sensitive, only 6 subs available, must end by Midnight Friday – garbage. Saturday their systems will have miraculously failed on Friday so they have errors and that has led to just a few more spaces left. Sunday a cat sat on the list of names smudged it and they counted wrong and still if your quick you can get in. It is all complete and utter bilge and I am begging you not to fall for it. Please do not fall for it and think of it as just Friday as it used to be years ago and still is today. If you get tempted just picture me giving you a slap. SPOT ON …IAN…. BUT WILL PEOPLE EVER LEARN ……another trait from the US of A Which we could have well done without ! !… Too late now. Ian! The break certainly is doing you the world of good. Re Sissoko absolutely spot on, useless individual featured im every game so far ? I mean WTF?!! You know Poch, he WONT be told. I already had one earlier today telling me he was going to get in trouble from his ex-boss because his mate had told him about this overlooked loophole the bookies were leaching money from but they did not know it. I was told that I had to keep quiet as if I said anything it would be closed down and be gone forever! Would not tell me what it was though just that I needed to pay £40 a month to be in the secret club but not to tell anyone else about it! Replied and asked his bosses name so I could help him out as clearly he had big problems in his company if he was unaware he was leaching money from a market and he did not even know it! How does anyone fall for this? Really? His ex-boss, his mate and he is doing me a favour??? Seriously. Does anyone know of any bookie who does not know where there money goes in or out? They know if your taking value even if you lose the bet. They are on top of everything and there is NO LOOPHOLE and NO SECRET CLUB. It angers me when I get these emails from the same people time after time and if you need help bringing them down, count me in! This was agora or whatever they are called. Oh and yes, Malcolm was at it again with me today, more 130+ systems apparently, Some place system that would die the minute 5 of his followers went with. One of his 250 systems published by members on his rating system was up 150 points this month or something. No mention of the 249 that lost 50 points. That is the thing with 250 systems, one will usually make a decent profit so you can mention it in your daily hassle email and get people suckered in, whilst you ignore the rest of the crap. He was on about trading the other day, and laying 3rd favourites. He is dangerous as he gives just enough information for people to pile in and lose but not enough to help them or to warn them of the downside. All they do is backfit systems and sell. Malcolms entire system is about finding any filter that makes a system profitable historically. Easily done when the results are in and absolutely no bearing on the future 99.9% of the time! Filters mean nothing without context. Won the race wearing number 1 from stall 3 and in a blindfold. Like the next time that happens the horse will win because of those specific filters!!! I am sticking to my own research and systems and to people I trust. Check my whites when I com to the trading day Ian, they will be squeaky clean and sparkling white! My money will be in my bank, or my betfair account ready for you to show me how to trade!!! Enjoy the rest of your time off and catch up soon. Not a gambling product I’m happy to say. I’m helping myself to a Siouxsie and The Banshees T Shirt. We love you mr e! Keep calm and healthy. Ha ha Greg I know I sent that later in the day but please stop drinking in the evenings! I’ve not had a single Black Friday ‘offer’ yet today (well, not gambling-related ones anyway). Hate to rub it in, but I seldom get these gambling offers any more. I used to get lots up to about four/five years ago, but I never responded to any of them and they started to dry up. Even the emails from the guys wanting to use my bank account to deposit millions of pounds into seem to have stopped. Maybe I’m on a marketing industry black list marked ‘cynic’. Anyway, given I hate shopping at any time (can’t even face going to the 24-hr Asda at two in the morning), I won’t be going anywhere near a shop today. But, like Tony (I like your taste in t-shirts), I’ll be buying a t-shirt tonight when I go to see The Lurkers. A few hours in the pub then to a gig followed by another few hours in the pub – that’s the true spirit of Black Friday. I’ve fallen for many systems, tipsters, seminarists but I’ve NEVER fallen for this nonsense. You’ve got to know that if a company can afford to sell you something for £10 today, then they can afford to do that every day. There didn’t used to be a grandparents’ day either. The only things I bought today were olives, blackened sun dried tomatoes, feta and Samuel Adams from Waitrose. And NONE of these were in Black Friday deals! But… The Lurkers? That’s some dubious taste, and it also means you’re in Glasgow, a long way from home. Hope you continue to take it easy and have a speedy recovery. I love the suggestion that if tempted we should picture you slapping us. I may try to use that for a variety of bad habits. You could probably sell an APP – anytime you feel tempted to do something you shouldn’t just click the APP and get a gif of you slapping someone. Probably make millions and provide a service to society. Previous Previous post: I Am A Machine.